On the night of July 30, 1964, a flight of six Rhode Island National Guard Aircraft left Hillsgrove Airport, (Today known as T.F. Green Airport) for a two-and-a-half hour training flight. 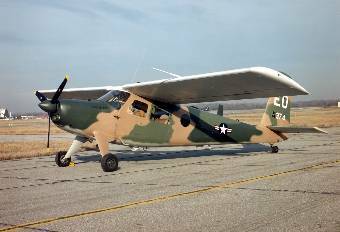 The aircraft belonged to the 143rd Air Commando Group. One of the aircraft, a U-10 Helio Courier with two men aboard developed engine trouble and attempted an emergency landing. As the plane neared the Conimicut Lighthouse at Conimicut Point in Warwick, one witness said he could hear the engine “spitting and sputtering” as it crashed into the shallow water of Narragansett Bay between the lighthouse and the mainland. Both the pilot and navigator were killed. The dead were identified as (Pilot) Captain Donald E. Leach, 31, of Cranston, R.I., and (Navigator) Major Alan Hall Jr., 39, of East Greenwich, R.I. The aircraft was recovered the following day with the bodies of both men still inside.